House hunters have the opportunity to find out more about a brand new part of the Wymondham community as the first show home opens on the outskirts of the historic Norfolk market town this weekend. Bovis Homes' impressive five bedroom 'Oxford' will be the first show home to open at Birch Gate, and to celebrate, the house builder will be offering to pay stamp duty for all reservations made this weekend! From Saturday 9th July, buyers can visit the stunning home and sales office between 10am and 5pm to find out more about the homes on offer and the plans for this new part of the community. Once complete, Birch Gate will include a new community hall, a variety of sports facilities, public open spaces, wildlife areas, cycle ways and footpaths helping to create a thriving new neighbourhood. With a mix of two, three, four and five bedroom homes on offer, Birch Gate will appeal to a variety of house hunters and is already attracting plenty of interest in the local housing market. The Oxford showcases the quality that will run throughout Birch Gate properties and includes an open plan kitchen and dining area with integrated appliances and French doors to the rear garden, a separate sitting room plus an en suite and sliding wardrobes to bedroom one. Field Sales Manager, Lorraine Farrow, said: "If you are looking to move, it's well worth paying a visit to Birch Gate this weekend. Bovis Homes create contemporary houses built to traditional standards, and include so much more than many other builders. What others consider as extras, we provide as standard. For example the hob, cooker, dishwasher, fridge and freezer are included within the price of a Bovis Home, which means you are getting much more for your money. And on top of this, if you reserve this weekend, we'll pay the stamp duty!" To help buyers secure their new home at Birch Gate, Bovis Homes offers a variety of purchase assistance schemes. For instance, Help to Buy is a 75% Government-backed shared equity scheme for new build properties only requiring a 5% deposit, while with Home Exchange Bovis Homes could buy your old house to get you moving. 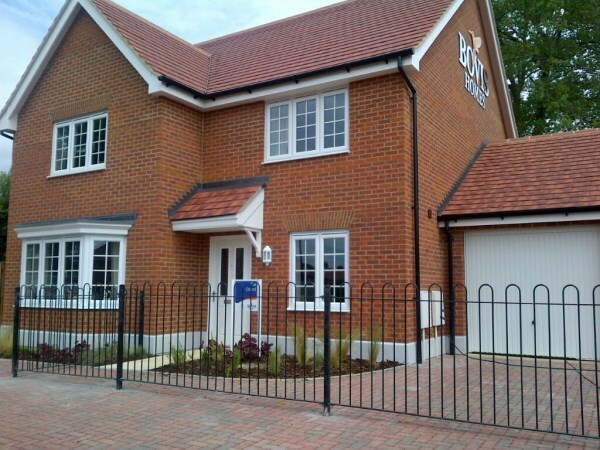 For more information about Birch Gate and all Bovis Homes purchase assistance schemes, call the sales team on 01948 504004 or visit www.bovishomes.co.uk. Further details about the scheme can be found at www.birchgate.co.uk.